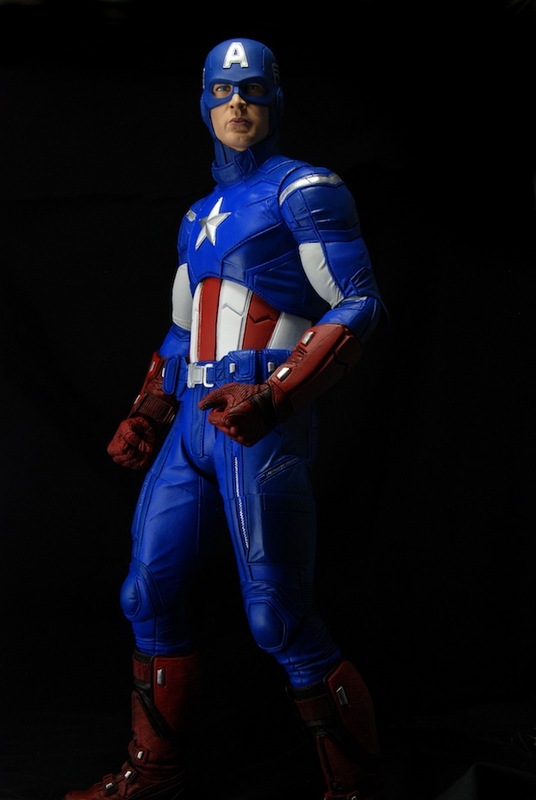 You are here: NECAOnline.com » Licenses » Closer Look: Captain America 1/4 Scale Action Figure Photos! 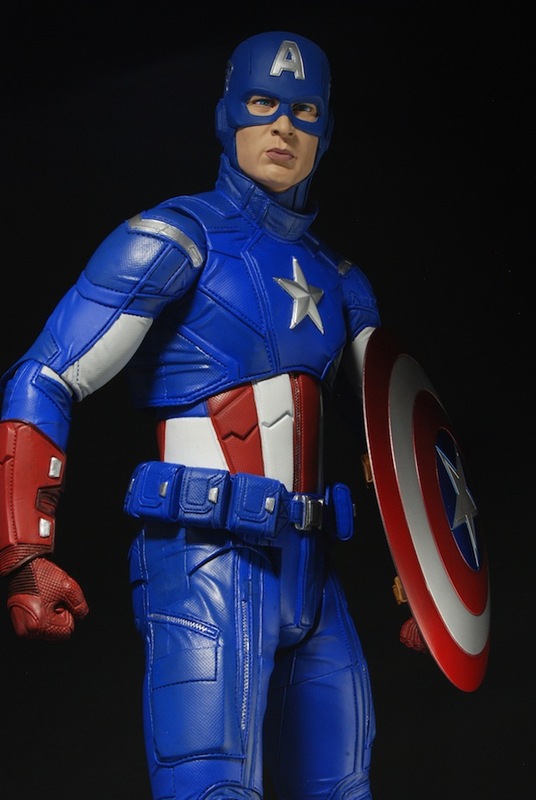 That alone would earn Captain America top billing in any line-up, but also being the First Avenger really cinched his spot as the inaugural release in our line of Marvel 1/4 scale action figures. 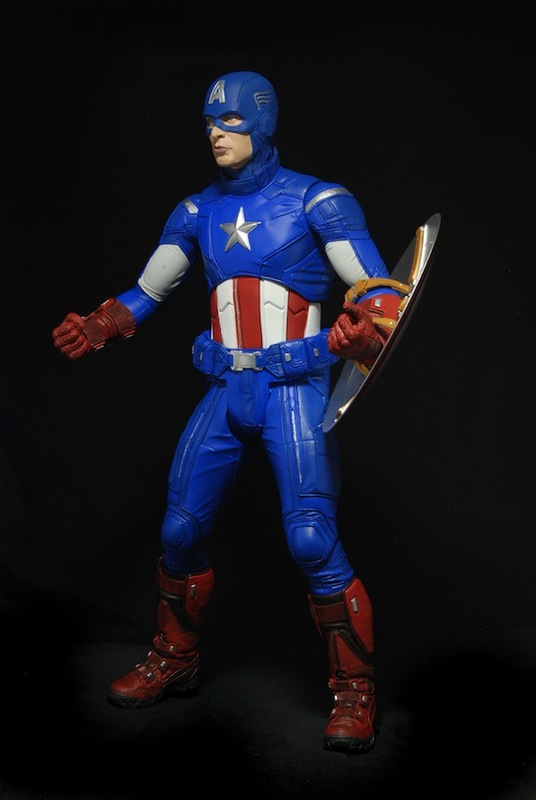 With the release date fast approaching, we took Cap into the photo studio to see what Truth, Justice and The American Way look like up close. All those who chose to oppose his shield must yieeeeeeeellld! 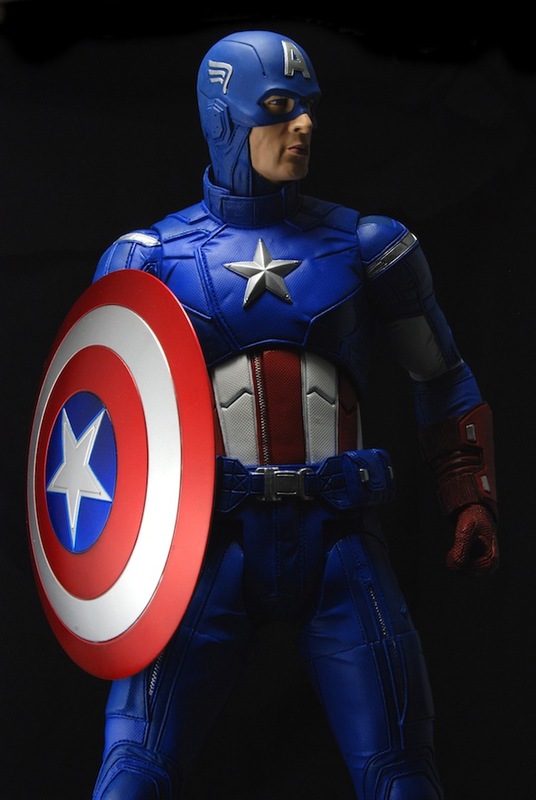 Based on his appearance in The Avengers, the Captain America action figure stands 18″ tall and features loads of detail. 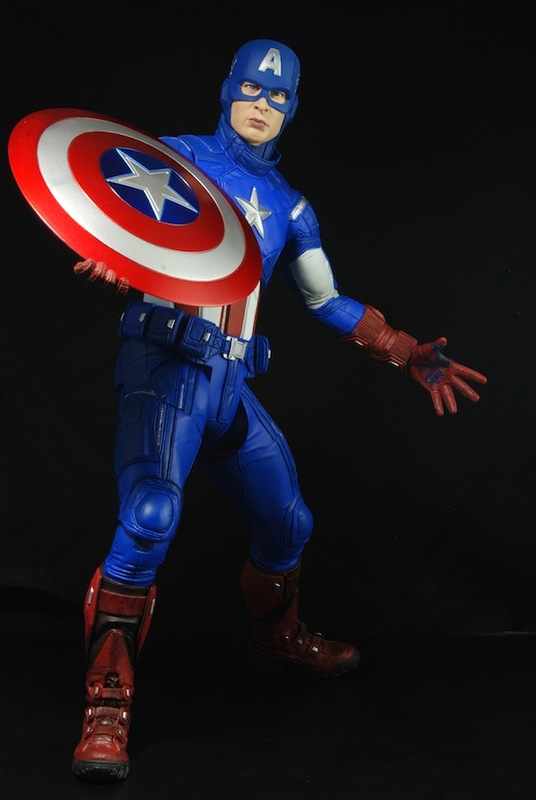 He’s got over 25 points of articulation, including neck, shoulders, torso, elbows, hips, knees, wrists, and more. 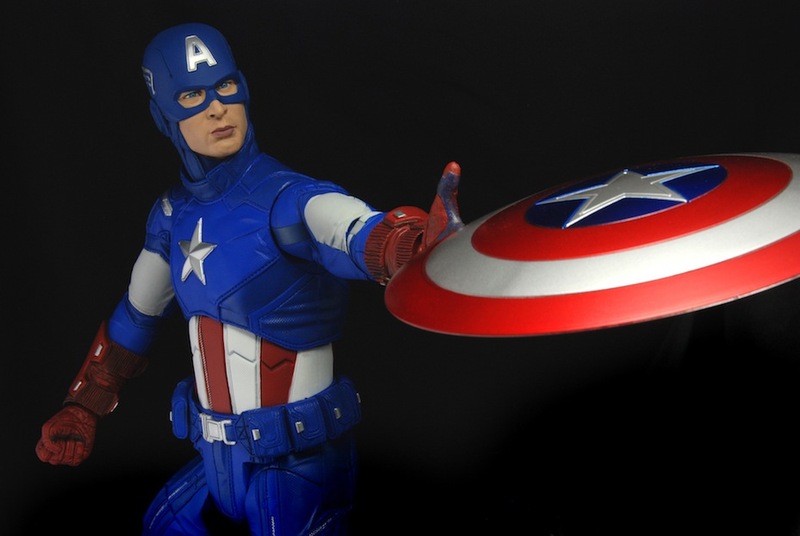 Includes Cap’s signature shield with straps and interchangeable hands. 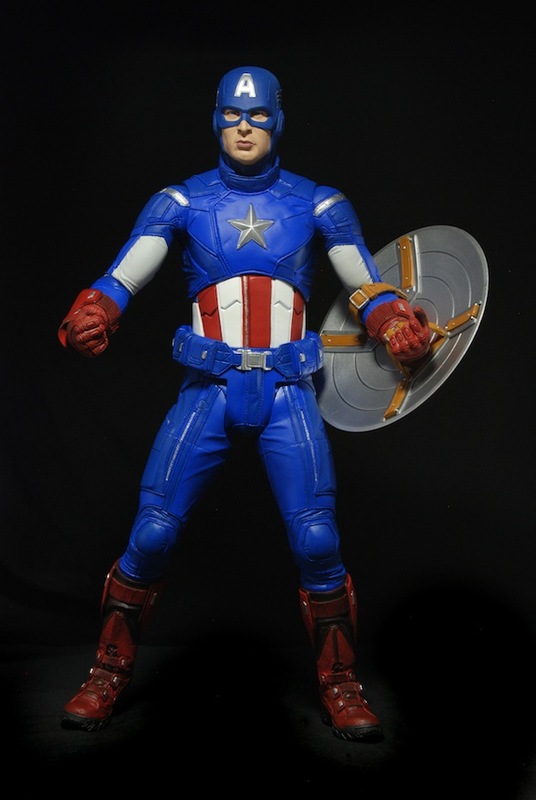 Captain America is just the first in our line of Marvel 1/4 Scale Action Figures! He’ll soon be joined by Iron Man and Thor. We’re still working out the logistics of doing Hulk… think about how big he’d have to be to stay in scale with his teammates! 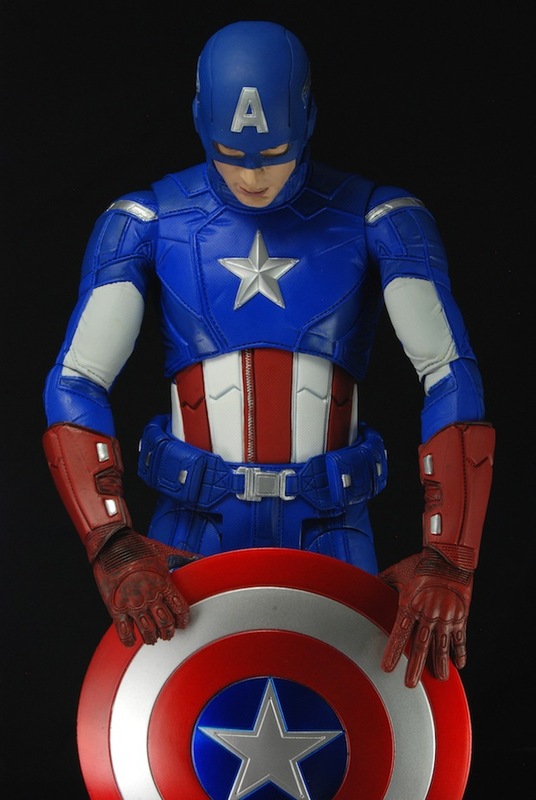 Cap would end this post with a rousing patriotic speech, but we’ll just re-cap (see what we did there?) the important points. Remember, he’s a limited edition of 7,500 — expect stock to disappear quickly. Stay tuned for more updates!